Prominent & Leading Manufacturer from Delhi, we offer zipper pvc pouch, aluminum foil bags, hdpe flat bag, pvc pouch with hanger, pvc printed pouch and plastic shopping bags. Our commitment and strict adherence to customer satisfaction have given us repeat business. 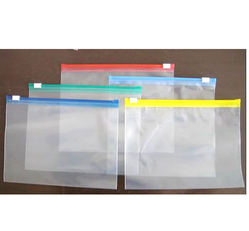 Our range of PVC Pouch Zipper is stringently tested on different quality parameters. We regularly upgrade our processing techniques to deliver the best quality products to our valuable clients at industry leading pricing. Our offered range of PVC Pouch Zipper is developed at pioneering production unit as per the market quality standards. Our organization is committed to the time-bound delivery at any part of the country. 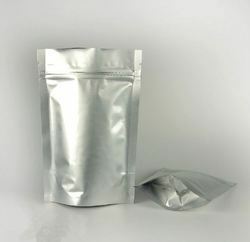 We are the Leading Manufacturer of Aluminum Foil Bags for Industries and Exporters. We do make only customised bags, according to customer requirement. 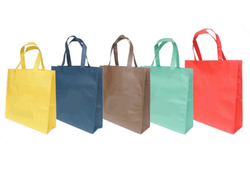 Our HDPE Flat Bags are designed for usage in various industry segments such as hotel industry, food industry, stationery and other products. 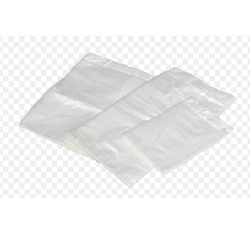 We are offering our esteemed customers with the finest range of PVC Pouch with Hanger. Known for offering the premium products, the company is acknowledged for the low pricing and time bound delivery in the market. 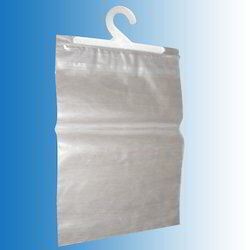 Consequently, PVC Pouch with Hanger is highly durable and has more service life. Superior Quality, innovative designs and flawless finishing have made it possible to gain a competitive edge in the market. Our entire product range is processed under the strict supervision of experts, using the high grade technical skills and advanced machinery and other related equipments. We are offering a wide range of PVC Printed Pouch for our valuable customers. 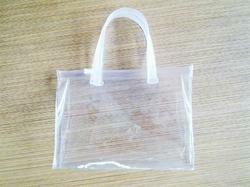 We are a leading manufacturer and supplier of PVC Pouch With Handle. 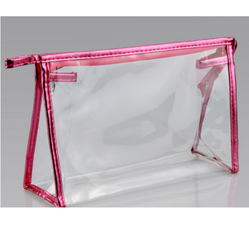 Our organization has come up with extensive collection of PVC Pouch. Looking for PVC Pouch ?